Top 10 DNA Tests - How Does 23andMe Work? 23andMe is the most popular representative of the direct-to-customer DNA testing (DTC) business model. This means you can do most of the procedure right from the comfort of your home without scheduling appointments, visiting distant testing locations or having to wait in lines. If you’ve never come into contact with at-home DNA testing before, this short guide to how 23andMe works will also help you gain a better understanding of how DNA testing works in general, as all DTC DNA testing companies follow the same operational model. Online order – Once you’ve chosen your testing option, you can place your order on the official 23andMe website. The company has two options to consider, its Ancestry Service Test (99.00$) and the famous health-related add-on for 100.00$ extra. 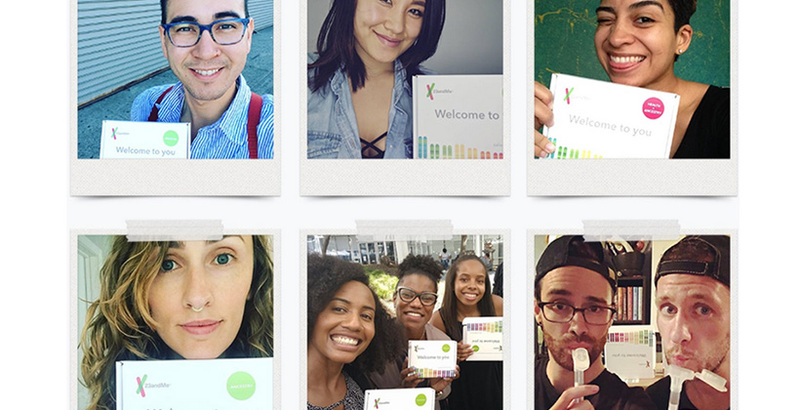 23andMe is currently the only company offering a combination of ancestry and health reports. You’ll have to create a personal 23andMe account in order to purchase the tests and register your testing kit later on. Testing kit registration – Once the company receives your order, your DNA testing kit will leave the warehouse in 1-2 business days and should arrive at your address in 3-5 business days, depending on your location. Note that standard and express shipping methods are available. When you receive the testing kit, you can register your unique ID code on the website and use your account as a personal hub for everything to follow. The registration code can be found on the bottom part of the collection tube. 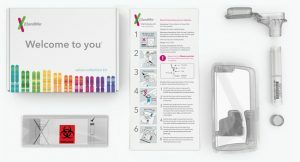 Sample collection – 23andMe DNA testing kit is saliva-based, which means you’ll have to fill the provided tube with your saliva. It may take you up to 5 minutes to do this. The tube comes with a funnel lid to make things a bit easier. Make sure not to eat or drink anything but water for at least half an hour before you collect your saliva sample. Cigarettes and chewing gums can also contaminate the sample and lead to potential errors or failures. Once your specimen is ready, simply mail it back to the lab using the same packaging you received. Inspecting the results – In around 6-8 weeks after the lab receives your DNA sample, the company will send you an email to inform you about your test results. From that point, you can inspect them anytime on your personal 23andMe account. Saliva collection tube – The container for your biological specimen. It also comes with a funnel lid for easier sample collection and an air-tight cap for protection. Tube container – Your collection tube and the provided add-ons come in a protected container, which you can throw away once you’ve collected your DNA sample. Specimen bag – A bag for storing your saliva tube. Step-by-step instructions – This manual will lead you through the entire process and offer a number of useful tips and instructions.